FRU2GO is pure fruit energy of fruit pulps with added goodness of banana. 2.What is it made up of? 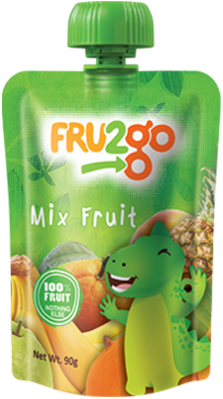 FRU2GO is made of mixture of choicest fruit pulps without any preservative, no added sugar, no added colors and flavors. 3.What are the variants in FRU2go? 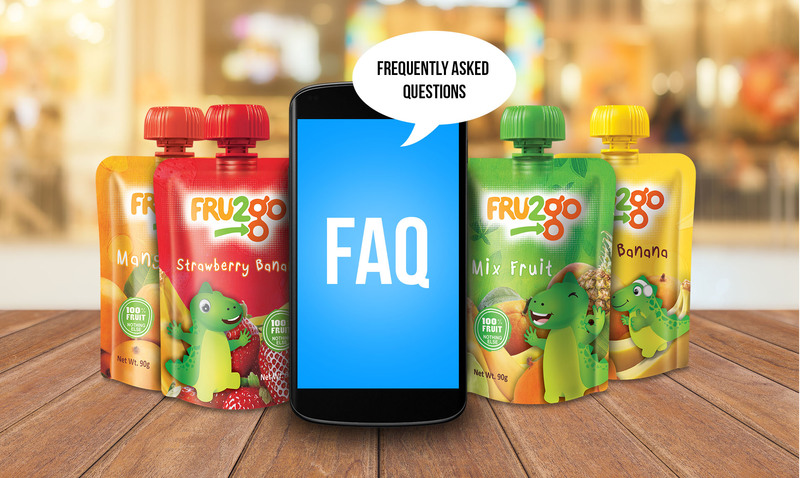 FRU2GO has 5 variants they are Mango, Mango Banana, Strawberry Banana, Apple Banana, Mix Fruit. 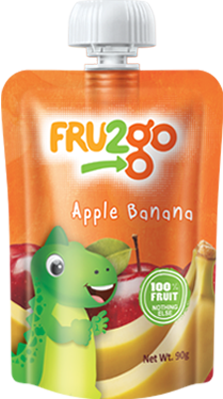 FRU2GO is nothing but 100% fruit in a 90g easy to use pouch. It is 100% natural with no preservatives, no added sugar, no artificial flavors and colors. The MRP of each FRU2GO pouch is Rs. 25. 6.How to consume this product? It's easy! Hold the pouch from the neck, twist open the cap and put your mouth to the spout and sip the wonderful pulp by gently squeezing the pouch. 7.How the product needs to be stored? The product has a shelf life of 6 months and can be maintained at room temperature or in a refrigerator. Once opened, consume within 3 Hrs. 8.Without preservative how is the product not getting spoiled? FRU2GO is packaged in a 4-layer packaging film which protects the goodness of fruits inside. It is also equipped with a tamper proof seal and an anti-choke cap so that the product remains hygienic and safe for use. 9.Why is banana included in every variant? Since, there is no added sugar in FRU2GO, banana gives the product its sweetness, mouth feel/ texture and is also the source of energy. Banana's qualities mixed with the nutrients of individual fruit makes FRU2GO a complete healthy snack for whenever hunger strikes. Quick source of fruit energy and nutrients, FRU2go is a new way to have Fruits-on-the go, 100% Fruit nothing else, no preservatives, no added sugar, no artificial flavors and colors.